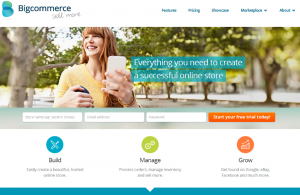 Do you run a business using the BigCommerce platform? If so, you already have access to some of the best SEO features available for any shopping cart, but that doesn’t mean that your site is reaching its full SEO potential. As the founder and CEO of a successful BigCommerce SEO company, I have seen how just a few professional customization touches can help businesses to reach new heights of success in a short period of time. But before we get into the specifics of how a BigCommerce SEO agency can benefit your business, let’s start with the basics. If you need a BigCommerce SEO agency, I invite you to check out Coalition Technologies. We are a certified BigCommerce partner, and we have helped businesses to improve sales more than 10 times over. Just check out our case studies and see for yourself. We have a full time staff of professional SEOs, copywriters, developers and designers who all work together to elevate our clients to new heights of success. Call us for a free quote at 1-888-800-9101. BigCommerce comes equipped with a wealth of SEO tools. Using the platform, you can easily create title tags and meta descriptions, implement SEO-friendly URLs, publish original copy and optimize your online store for conversion. These measures are all immensely helpful, but they can only get you so far. For instance, BigCommerce cannot build links for you, and it cannot compose the kind of keyword-optimized page copy that drives traffic and improves search rankings. For those who don’t have a strong grasp of web development, BigCommerce makes it easy to automate many of the behind-the-scenes aspects of SEO. For instance, title tags and meta descriptions—the page titles and description text used by search engines—are coded into the page source, but you don’t need to understand coding in order to incorporate custom metas into your BigCommerce site. You can simply enter them into the user-friendly title and meta fields using your built-in content management system. Some aspects of SEO are automated entirely by BigCommerce, meaning that you don’t need to worry about them at all. BigCommerce uses an optimal link navigation structure, creates search-friendly URLs and uses page layouts designed to maximize conversion rates. Simply having these features provides a huge head start to anyone concerned about SEO. Of course, BigCommerce can’t do everything for you. You’re going to need some custom developers on your side if you want to ensure that your entire site is optimally set up for ongoing search engine crawlability and indexing. This involves testing—and sometimes amending—the types of server responses, minimizing duplicate content created by dynamic URLs, pinpointing weaknesses in the source code, and eliminating dead links, just to name a few examples. Additionally, SEO involves a tremendous amount of research. It’s not enough to simply understand your industry. You need to figure out exactly what relevant terms and phrases are receiving search engine traffic. Furthermore, it’s important to find just the right combination of primary keywords, secondary keywords and long-tail keywords to drive the most possible traffic from a wide variety of sources. This is where professional SEO is so hugely beneficial. Lastly, of course, we have the issue of link building. Links are paramount in building relevance with Google and securing prominent search engine rankings. But if you don’t build the right links, your site may derive no value, or may even be penalized. It is absolutely essential that an SEO plan include an ongoing link-building campaign, which targets the most beneficial kinds of links in just the right quantities. If you are interested in hiring a BigCommerce SEO agency to help you improve your search engine presence, it’s very important to choose a certified BigCommerce partner. BigCommerce partners must be approved by the company itself, and must have a thorough understanding of the platform. BigCommerce partners also have access to a wealth of tools, features, tutorials and customer service benefits that non-partners do not have. 1) What companies have you worked for in the past? 2) How much have you improved traffic and sales for your other clients? 3) Do you have access to professional web developers? 4) Does your SEO plan include professional copywriting services? 5) Do you offer any guarantees? I have found this article very helpful and i have saved your article link in my inbox, I have mailed to my team members too. I appreciate your post. Thank you.